Looking to make an appointment now? We now offer online scheduling. Just click the green button above and it will take you to our online scheduling system. New Again Carpet Cleaning should be used as a measure of maintenance, not just a spot specific cleaning. Your carpet is relatively dirty all the time. From dirt blowing through open windows and doors, to debris tracked in quietly each day by your family. Your carpet becomes dirty in such small increments that you can’t truly tell how dirty it is today from yesterday. And the dirtier you allow it to become cuts its life down several years. 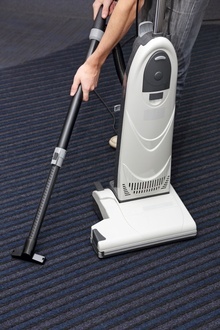 New Again Carpet Cleaning needs to be used once a year at the very minimum. Two to three times a year is best, and even more if you have heavy traffic in your home or business. Free estimates are given for residential and commercial properties! Commercial properties will need frequent cleanings because of heavier traffic. New Again offers maintenance packages to meet your specific needs.